Whether you’re new to the north or a long time sourdough, we’re sure you’ll love working and playing in the Yukon! If you are travelling to the Yukon to come snowmobiling we would love to hear from you and arrange to go riding. Our snow typically begins falling in October and melts in April and May, however the best months to come for snowmobiling (and most other winter activities) are January, February and March. 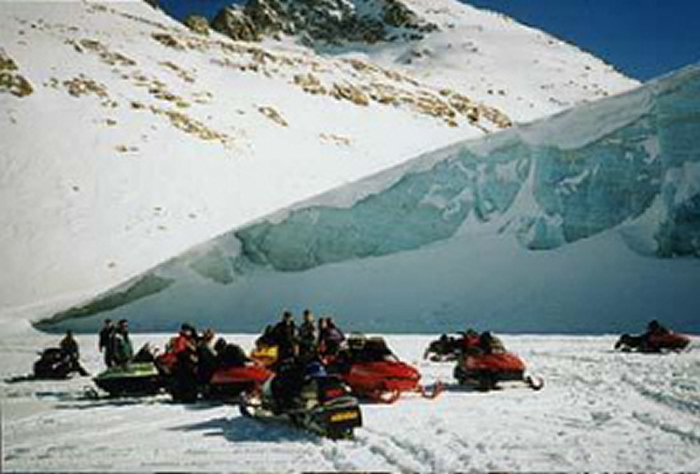 Unfortunately, at this time the Klondike Snowmobile Association does not offer organized tours or snowmobile rentals, but there are several local companies that do. We also have several members that are always looking for excuses to go snowmobiling and would be happy to show you around. If you’re coming to the Yukon and you’re interested in snowmobiling here, please do get in touch with us (send us an e-mail at klonsnow@gmail.com , send us a message on Facebook, or phone our office at 867 667 7680) and we’d be more than happy to help get you set up. 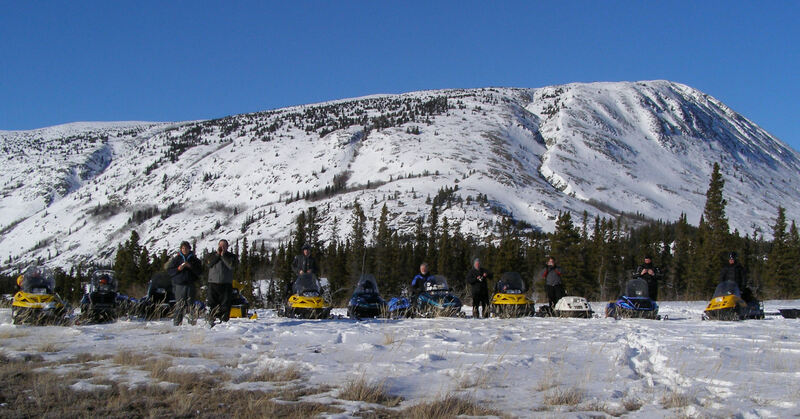 Unlike many other destinations, no trail permit is required to use the snowmobile trails in the Yukon. There is a Whitehorse Safe Snowmobiler Card that is required to ride within the Whitehorse city limits, however this requirement does not apply to non-Whitehorse residents who are visiting for two weeks or less. For more information on rules and regulations, please see our Snowmobile Bylaws page. Although the Yukon is typically known as a summer destination for tourists, it’s also an excellent place to come for winter fun. In addition to snowmobiling, you can partake in dog sledding, downhill skiing, cross country skiing, ice fishing, see the Aurora Borealis (northern lights), enjoy some of our famous winter events, and much more. For those looking to relax you can soak in our hot springs, enjoy some of our award winning local beer, or just sit back and hang out at one of our many coffee shops, pubs or restaurants. For anyone looking to do some business the Yukon also has a wide variety of hotels and meeting places offering year-round service. Coming to the Yukon has never been easier. 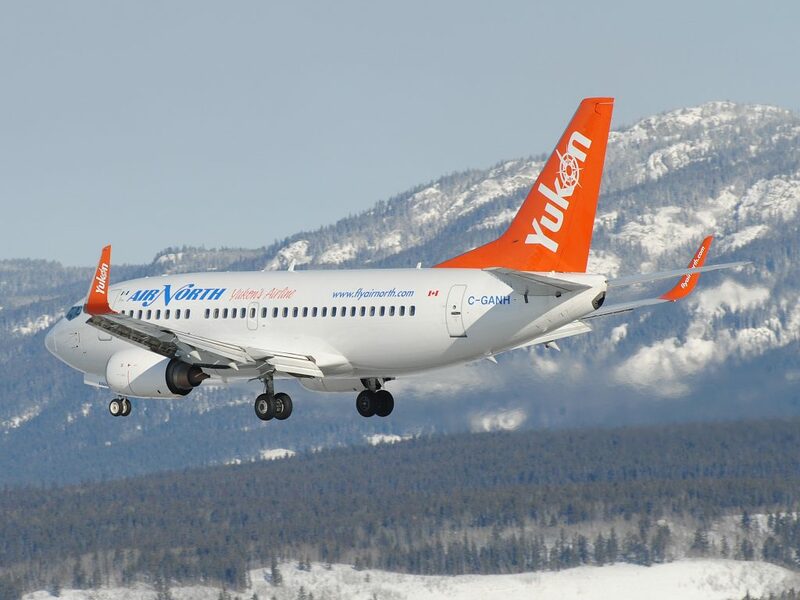 Air North, Yukon’s Airline, now has a fleet of modern Boeing 737 jets and offers affordable, year-round, direct service between the Yukon and several gateway cities including Vancouver, Kelowna, Victoria, Calgary, Edmonton, Yellowknife and Ottawa. They also have a fleet of turboprop HS-748s and ATR-42s offering scheduled and charter service to several points within the Yukon, N.W.T. and Alaska. Air North is proudly based right here in the Yukon and has received numerous awards for their service in recent years, including “best specialty and leisure airline – North America” from TripAdvisor and “world’s second most loved airline” from Fortune Magazine. In addition to Air North, Whitehorse also has year-round service from Vancouver with Air Canada, and direct service from Frankfurt, Germany with Condor Airlines. For those who prefer driving, many of the Yukon’s highways (including the famous Alaska Highway) are now fully paved and open year-round. Our highways are regularly plowed and maintained and pass through some of the world’s most beautiful scenery. Drivers need to come prepared however, as services along the highways to and within the Yukon are often hundreds of kilometers apart, in some cases 500 km or more. There is also no phone or internet service along most of these highways. As a result it is essential that you plan your trip accordingly and pack the appropriate supplies and equipment. For more information and current highway conditions please visit www.511yukon.ca.